Mercedes-Maybach is introducing its first off-roader: an open-air G class. 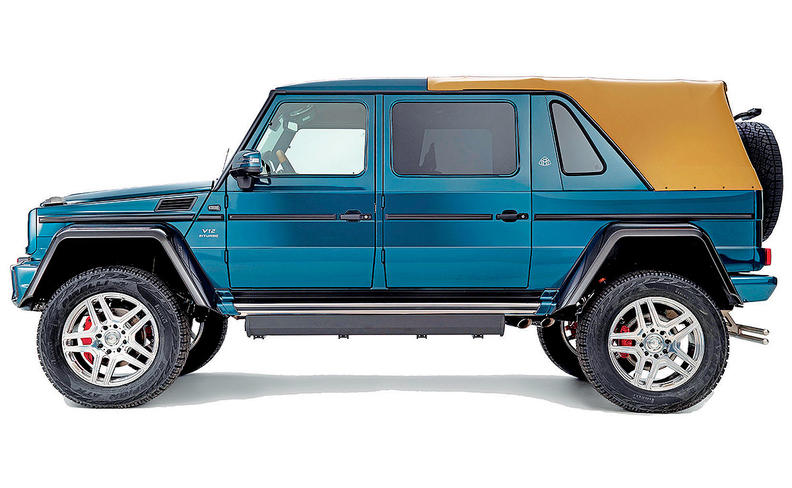 Production of the Mercedes-Maybach G650 Landaulet will be limited to 99 vehicles. It will debut next month at the Geneva auto show, with deliveries starting in the fall. Pricing has not been announced but expect it to cost $400,000-plus. The G650 Landaulet picks up elements from other high-end G-class models and features a large folding top that opens the second row of seats to the sky. It is powered by a 630-hp, V-12 engine from Mercedes-AMG and boasts more than 1.5 feet of ground clearance. The adjustable massage seats in the rear are from the S class and can be fully reclined. Tables for the rear seats are stowed in a center console, and each seat has its own entertainment screen. A glass partition can be raised to separate the rear compartment from the front row. Like other G-class variants, the G650 Landaulet will be assembled by Magna Steyr in Graz, Austria.